I spent another weekend seeing patients, the by-product of a practice that is expanding physically faster than it can expand its staffing. In an environment where various organizations are grappling for market share, there’s good business justification to grow quickly, but it can create pressure on the people, processes, and technology needed to support the growth. I mentioned last week that we had a mini-release from our EHR vendor that added some clunks to the documentation workflow. The clunks are still there, with no end in sight as far as streamlining around them. They were added to facilitate document upload to a health information exchange, but we’re not connected to one. Based on some of the patients who arrived at my location, I could really have used the HIE. The day started pretty slow, allowing me to catch up on some journal reading and continuing education. I read an interesting article on physician burnout from the state medical society in one of the states where I’m licensed but don’t practice. In addition to physician burnout, it talked about how physicians receive healthcare in general, which is to say poorly at times. There are many physicians who feel like seeking care is a burden, either to their schedules (having to cancel office days or move patients for a sick visit) or to their colleagues, who have enough on their plates. This leads to physicians often treating themselves, which is generally a bad idea. It’s hard to be objective about your own symptoms and examining yourself isn’t the most productive diagnostic activity. Nevertheless, it happens, with studies estimating the prevalence of self-treatment from 52 to 90 percent. Physical illness can impact how we render care, as can psychological problems like burnout. The article mentions that in the particular state, licensure applications require physicians to self-report any conditions that limit or impair judgment or affects the ability to practice medicine in a safe and competent manner. I’d argue that burnout can affect the ability to practice medicine in a competent manner – loss of empathy, loss of patience, tunnel-vision, and more – but physicians aren’t likely to self-report because that triggers the need for a sheaf of documentation and an investigation from the licensing board. The article goes on to mention a 2009 study that found that 69 percent of state medical licensing applications ask questions that would be considered “likely impermissible” or “impermissible” based on the Americans with Disability Act and relevant case law. Other countries have fewer barriers to physician care, with Norway leading the pack with a group of physicians trained by the Norwegian Medical Association to specifically care for other physicians. It was in the context of having read this article and been thinking about physician stress and burnout that I cared for a couple of challenging patients. The first had some drug-seeking behavior that was validated by a query to my state’s Prescription Drug Monitoring Program. It’s not integrated with my EHR, but rather is a separate website, but I was happy to do those extra clicks to confirm what I suspected. Score one for technology assisting the physician, although the technology doesn’t make the conversation with the patient any easier, especially when you’re denying them the care they’re seeking. Fortunately, this was a patient who accepted her situation rather than one who became angry when I refused to prescribe oxycodone, because as an urgent care, we’re not well equipped to handle angry or potentially violent patients. That happy technology-enabled bubble burst a few patients later, however, when I was confronted with a medically complex patient with difficult social circumstances. She had issues following a transplant for over a year, largely related to changes in her insurance and inability to get new coverage. Transplant patients need coordinated care that has many inputs, including the surgical team, organ-specific team, pharmacists, social workers, and more. Being disconnected from your team and having to rely on episodic care can result in organ rejection and serious complications. She had bounced around due to the insurance issues and then was further impacted by a recent hurricane, which displaced her to another state. At least in her previous city, urgent care or walk-in clinic providers might be willing and able to call the transplant team for advice, regardless of the insurance coverage situation. However, providers in another state aren’t going to necessarily have that willingness to try to make that connection, especially if they’re in a stressed healthcare system. The patient realized that and had been trying to connect with a transplant group in her new state, but began to have signs of organ failure before establishing that connection. Due to some family issues, she traveled to yet another part of the country, and several weeks and a 30-pound weight loss later, she wound up in my urgent care an hour after we closed, halfway across the country from either of her previous residences, feeling terrible and looking very ill. As soon as I heard the basics of the story from my triage nurse, I was wishing that clicky HIE popup was actually connected to something. I can log in separately to a regional HIE, but it’s a fairly immature repository that rarely contains anything useful for my local patients, so I wasn’t hopeful about finding anything on this interstate traveler. Regional HIEs often have web access for people like me, but I doubt they’d be too keen on a request from out of state, and even if they were, it’s not like that request is going to get validated and turned around at 11:00 on a Sunday evening. After seeing the patient and dividing her concerns into short-term and longer-term categories, I started to work on a plan. One concern for transplant patients is the sensitivity of their medication regimens and their relatively immune-compromised status. In general, you can’t rely on the “bread and butter” medications we use every day because they can have serious consequences. I maximized my use of drug interaction checking but was still unsure about my plan, and had to turn to a quick literature search to see if I could get the answer. The search was fairly silent about what I was considering in my plan of care, and without documentation of safety, I couldn’t use it. As a community physician, I don’t have any transplant colleagues I can just call up and ask questions. The hospital I’m most closely affiliated with doesn’t have transplant services, so that was a dead end as well. Since this was after closing time, we were paying overtime to our staff, and as an hourly employed non-partner physician, I couldn’t authorize more overtime to have them start to call around to the local academic centers and hope we could track down a transplant fellow on call as it approached midnight. I was left with providing simple and supportive advice to the patient for her short-term problem, with the hopes that she could reach her original transplant team in the morning and that they would be able to offer definitive advice despite the lapse since her last visit with them. I can’t begin to describe the feelings of helplessness that these situations evoke for caregivers. We are wired to help people and our training supports that. But when we’re placed in situations like this, it’s hard to not internalize that sense of failure or the feeling that you should have been able to do more. Especially when there are multiple and ongoing situations like this, they contribute to physician burnout and further stress our healthcare system. In thinking back through it with my CMIO hat, would a true national HIE have helped? Maybe a little. If I could have looked through past records and seen how her previous physicians handled similar symptoms, that might have given me a clue. If I could have accessed past medication lists (older than the year I could get from our Pharmacy Benefit Manager link) that might have helped. Direct messaging to providers wouldn’t have helped given the time of day or the acuteness of the situation, but at least I would have felt more like I was doing something. Direct messaging might have been tricky though, because she didn’t know the individual names of her physicians, but rather listed the transplant program as her primary care provider. Health information technology has so much promise, but most of us are working with only bits and pieces of it and it’s not in an integrated fashion. The care we’re giving isn’t worse than it was in the paper world, but how we feel about it has changed. We feel like we should be able to do more with the technology or that we could have done better if we were fully connected along with the rest of a patient’s caregivers. There’s a certain psychic load to knowing what could be and comparing it to where we are. I don’t know what the answers are, but hope that the people who are making healthcare policy and deciding how and if we are going to fund different healthcare initiatives think about situations like this. It’s not only how it impacts the patient, but also how it impacts the caregivers and their ability to stay resilient. In my area, losing a physician from active practice can result in between $200K and $300K in replacement and ramp-up costs, not to mention the lost patient accessibility during the transition time. We’ve got to find a better way to ensure the available technology makes it to caregivers across the country, not just those in academic medical centers or large cities. We have to figure out how to help those who are in backwards states that don’t adequately fund PDMP or HIE efforts. We have to figure out how to get past hospitals and health systems that are actively engaging in information blocking and refuse to share patient information with the greater clinical community. 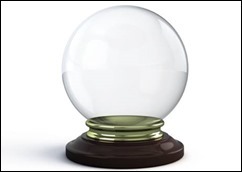 Do you see a solution in your crystal ball? Email me.